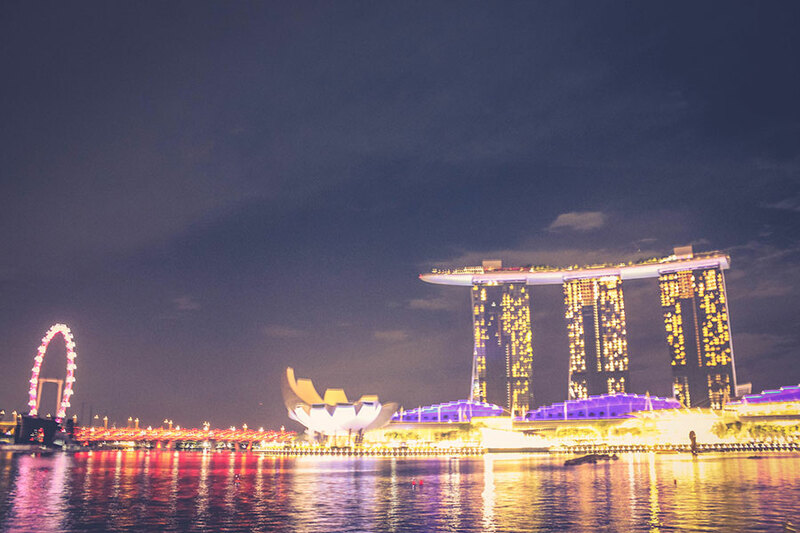 Singapore is the smallest but one of the most prosperous countries in Southeast Asia. With its newly developed tourist attractions, it has become one of the favorite travel destinations in Asia. 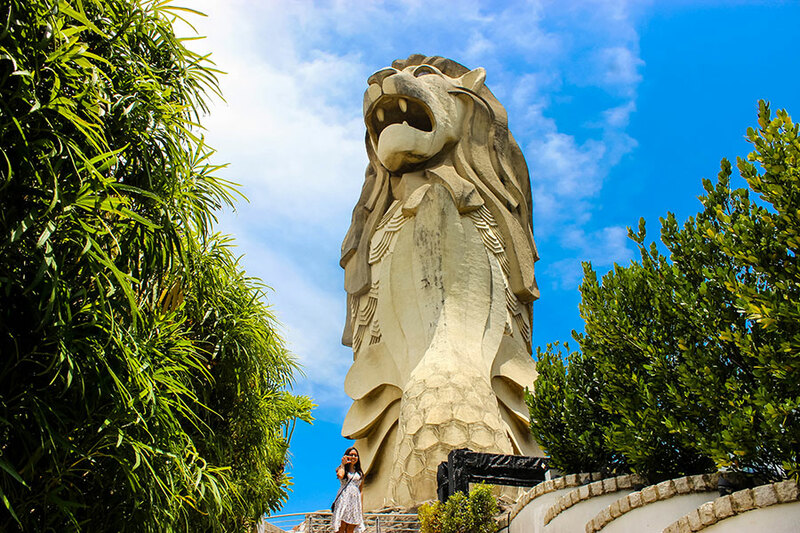 Touring Singapore is generally safe and easy so it's an ideal choice for first-time international travelers. Directional signs are everywhere and you can also rent a tourist pass card for unlimited LRT, MRT and bus rides. Accommodation in Singapore is quite expensive but there are dormitory type rooms for affordable accommodation. 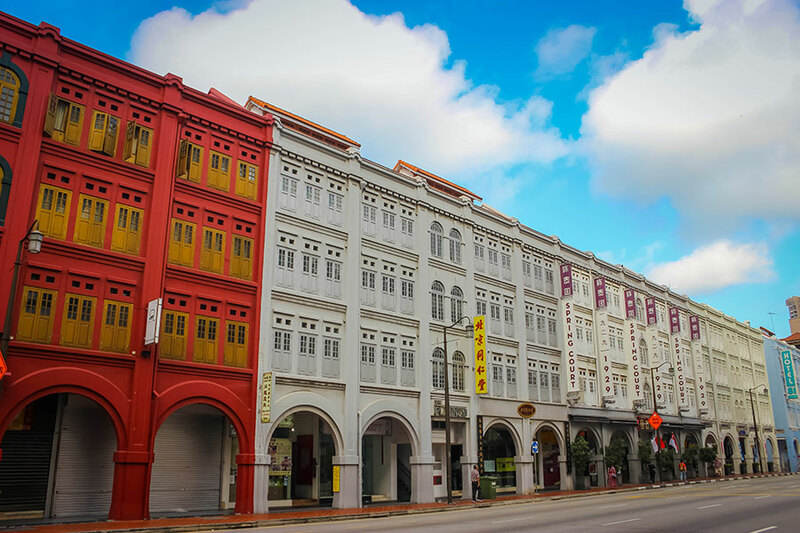 Most of these hostels are located in Chinatown and Little India. We stayed at Beary Best in Chinatown and it's just across the MRT station. They also provide free breakfast and WiFi connection. To get discounts on entrance fees, you can book online though Klook. Chinatown is the first Chinese settlement and one of the oldest districts in Singapore. Some of the tourist attractions here include the Sri Mariamman Temple, Buddha Tooth Relic and hawker food centers. 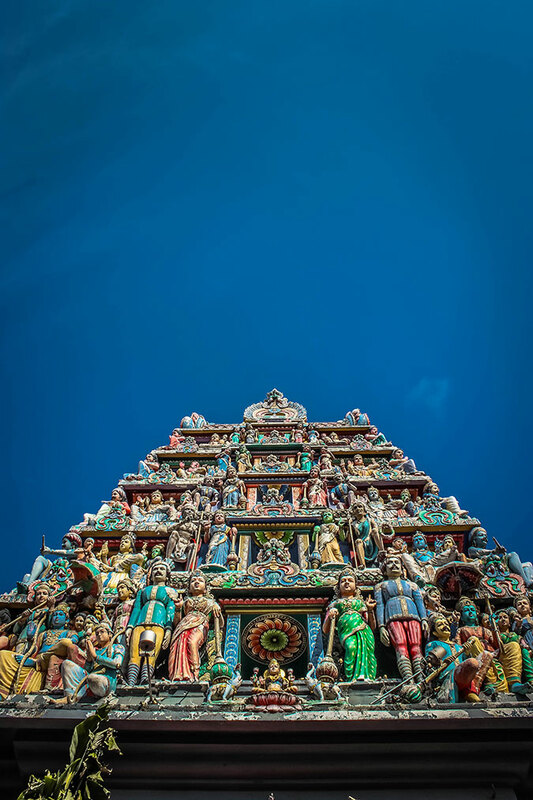 The Sri Mariamman Temple is the oldest Hindu temple in Singapore built in Dravidian style. Admission is free but a small donation is requested from those taking photographs. Wearing of shorts and sleeveless shirts is not allowed inside the temple. 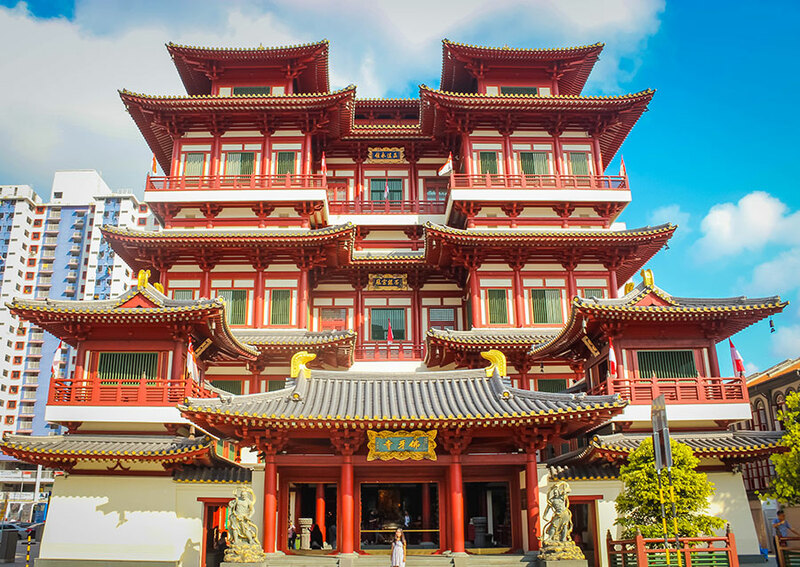 The Buddha Tooth Relic Temple is built to contain the relic of Buddha which is believed to have been found in a collapsed stupa in Myanmar in 1980. The relic can be viewed by the public at the 4th floor. 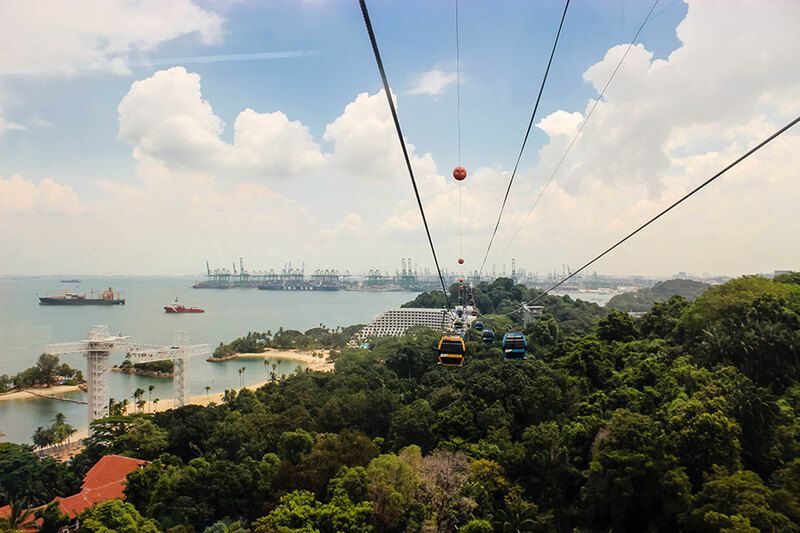 The Singapore Cable Car connects Mount Faber to the resort Island of Sentosa. The Cable Car ride has six stops: Mount Faber, Harbourfront, Sentosa, Imbiah Lookout, Siloso Point & Merlion. It's one of the unique ways to get to and tour Sentosa Island. 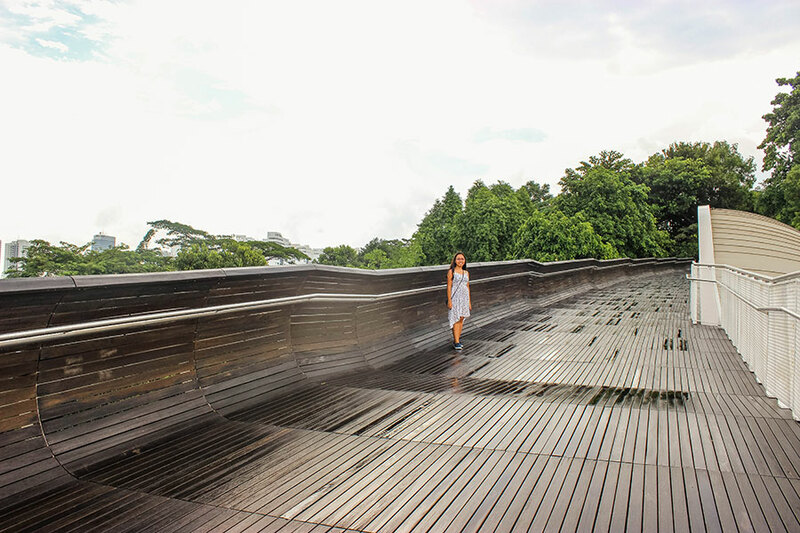 Henderson Waves is the highest pedestrian bridge in Singapore. Its shape mimics a smooth wavelike motion, thus its name. Henderson Waves can be hiked from Mount Faber. 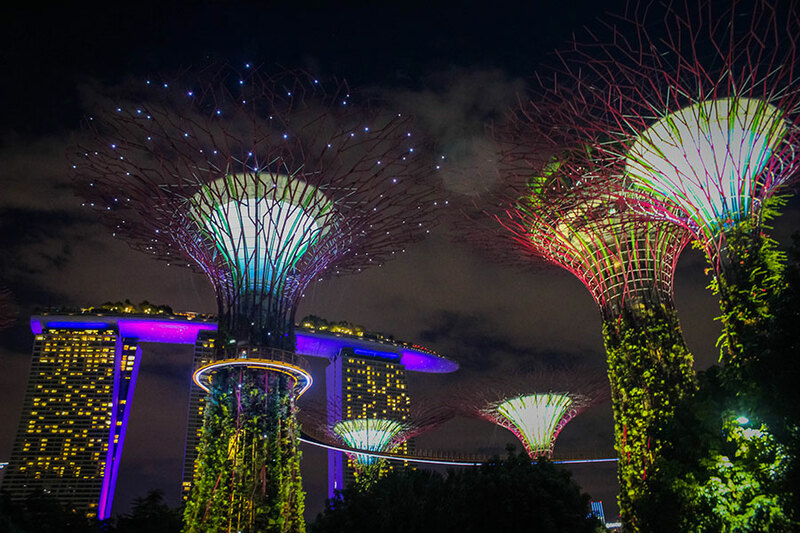 Gardens by the Bay is home to the man-made solar trees. 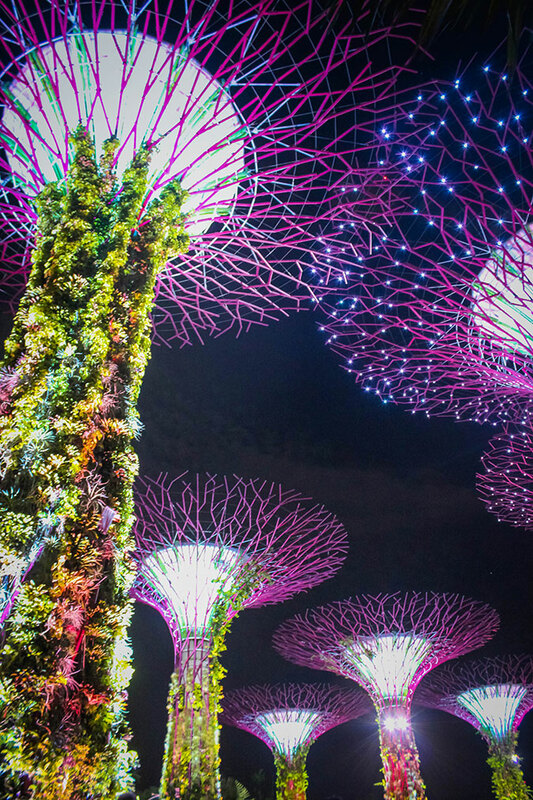 A lights and music show is held at the Supertree Grove twice every night. The Gardens by the Bay Rhapsody show is free for everyone. The Flower Dome is an air-conditioned glass greenhouse featuring themed gardens and exotic plants like Baobab trees.. 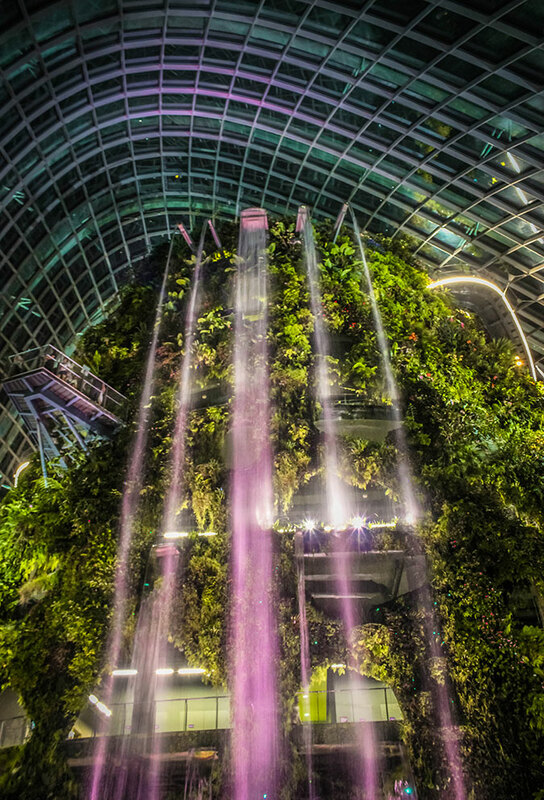 The Cloud Forest houses an indoor waterfall falling from a 35-meter mountain of lush vegetation. 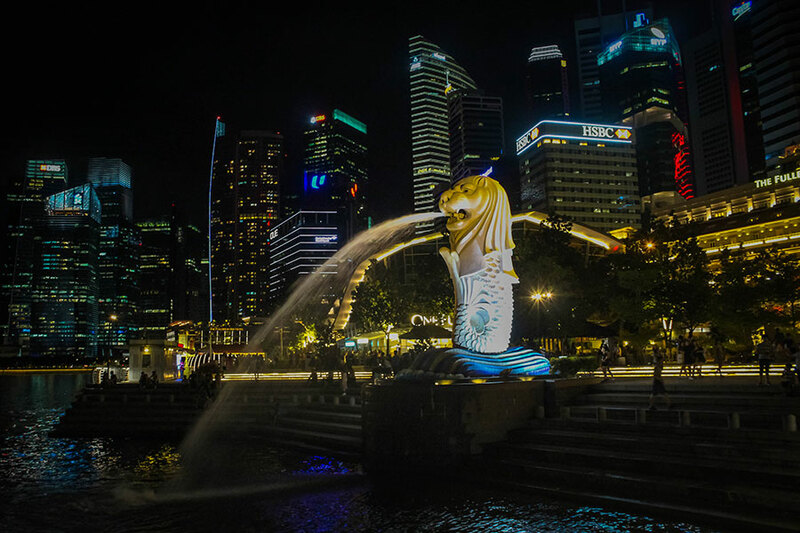 The Merlion is Singapore's most prominent iconic statue. The park also provides a good view of the Marina Bay Sands. 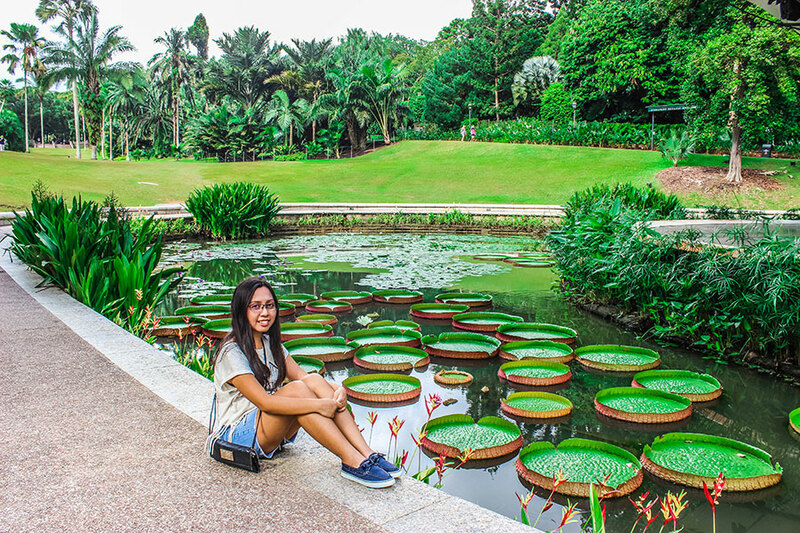 The Singapore Botanic Gardens is a tropical garden honored as a UNESCO World Heritage Site. 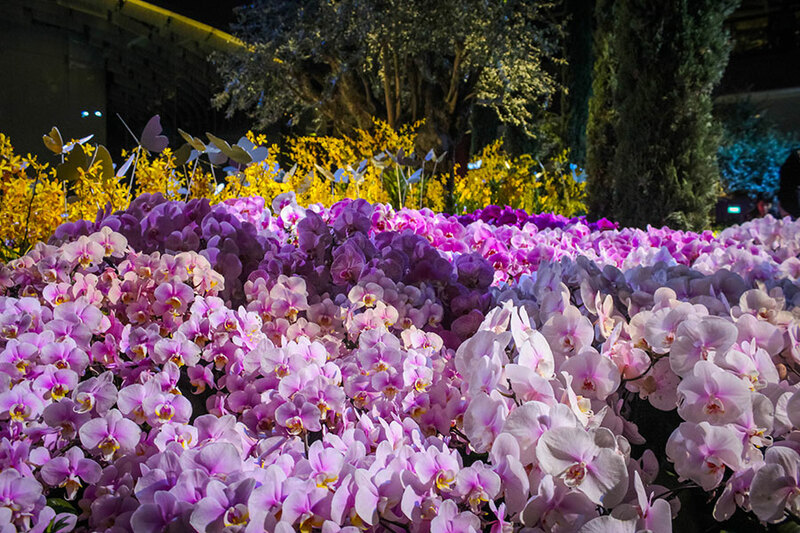 There is no entrance fee except for the National Orchid Garden. 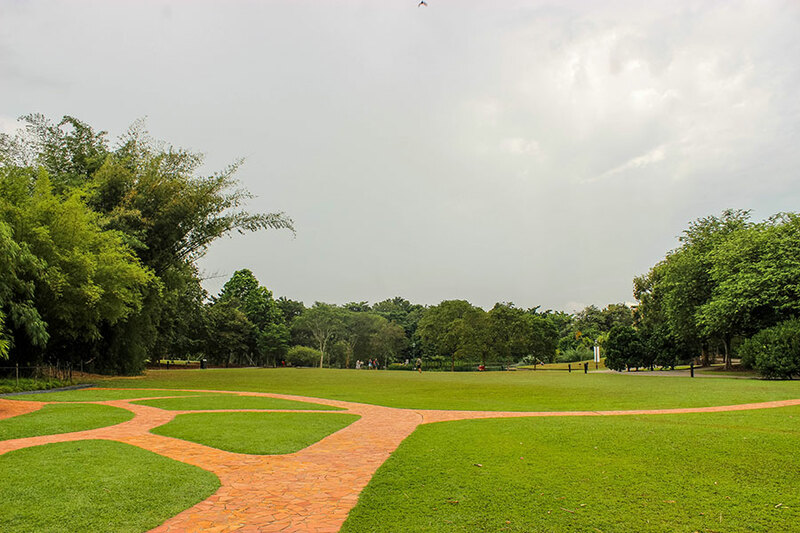 Other attractions in the site include the Evolution Garden, Healing Garden, Ginger Garden, Children's Garden and the Learning Forest. This aviary park is home to impressive bird species such as flamingos, pelicans, penguins, emus, ostriches and more. 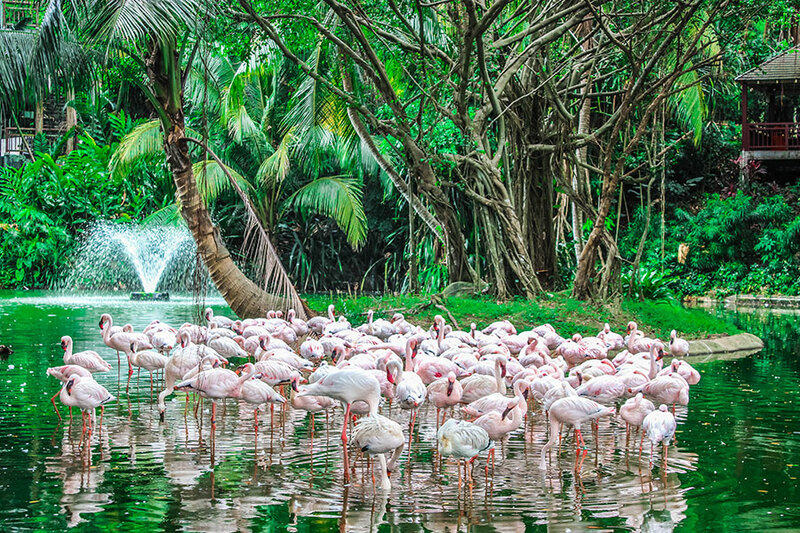 This park also features a nine-story Lory Loft aviary, an open flamingo lake, a 30m waterfall and more. You can get the chance to hand feed the birds and learn about them through interactive shows. 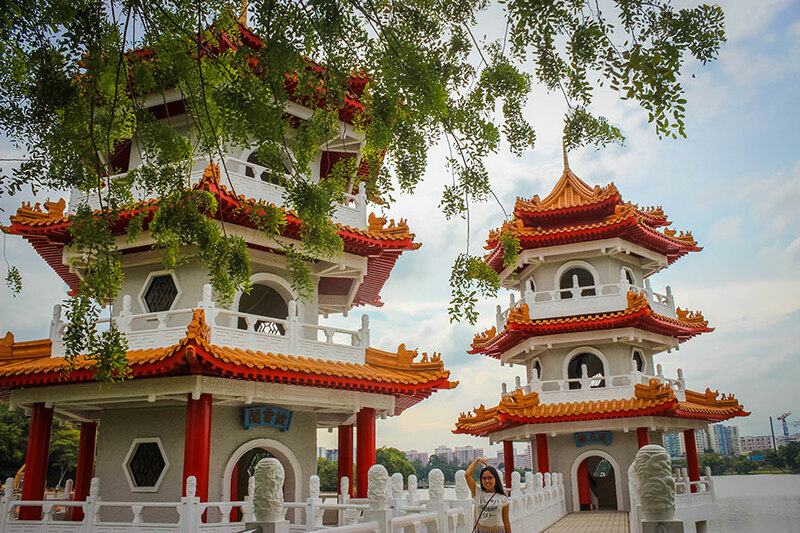 The Chinese and Japanese Gardens are built in artificial islands in Jurong Lake. The two gardens are connected by the Bridge of Double Beauty. 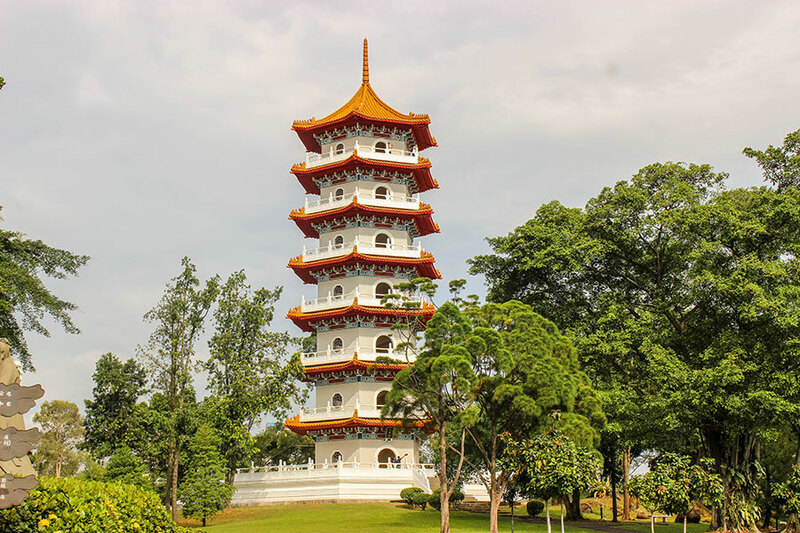 The Chinese Garden's concept is based on the Chinese gardening art while the Japanese Garden is designed to evoke inner peace. 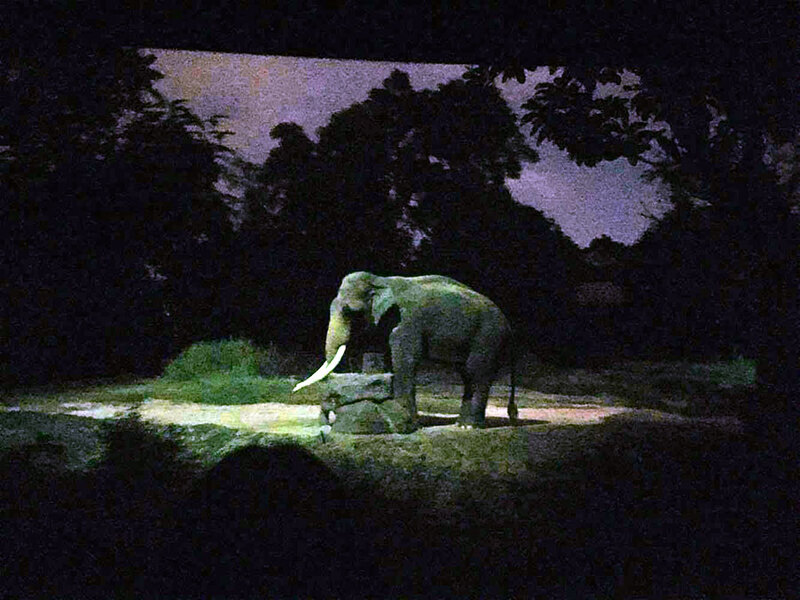 The Night Safari is a nocturnal park where you can get the chance for up close encounters with magnificent animals such as lions, hyenas, otters, elephants, Malayan tapirs and more. The park can be explored on foot via four walking trails or by tram.